As Disease Ravages Coral Reefs, Scientists Scramble for Solutions – read the article from Yale Environment 360. Ret Talbot, on assignment in the Marshall Islands. 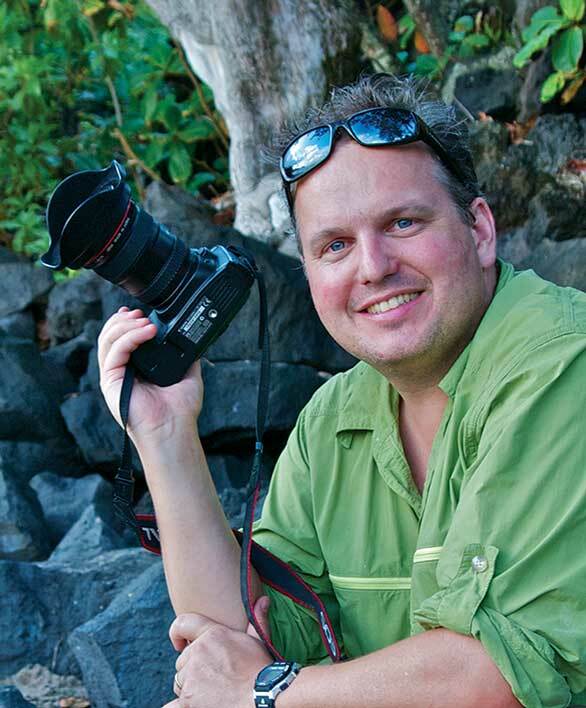 Journalist Ret Talbot, author of the Good Catch Blog and a regular contributor to CORAL Magazine, recently completed a comprehensive overview highlighting the plight of the world’s coral reefs, published in the online magazine Yale Environment 360. The article also illuminates scientists’ efforts to understand the magnitude of the problem while attempting to identify viable solutions, or at least stopgap measures, to prevent the ultimate demise of these biodiversity hotspots. “Around the globe, coral disease outbreaks are becoming more frequent, severe, and widespread,” notes Talbot. Nearshore pollution and damage from fishing contribute to ailing reefs, but rising ocean temperatures and resultant coral bleaching are at the epicenter of causes for reef collapse. Talbot notes the current state of coral reef loss ranges from 6% on the Great Barrier Reef to up to 80% in the Caribbean. Researchers in Florida, Hawaii, and Australia are scrambling to identify or even breed heat-resilient corals, while others on the ground attempt to save disease-riddled corals with innovative applications of antibiotics or the equivalent of aquatic amputations–sawing off what can be saved and transplanting healthy corals to sites where the disease isn’t present. It’s an all-out race to do as much as possible, but researchers are pragmatic, tempering expectations and already acknowledging that not everything can be saved in the near term. 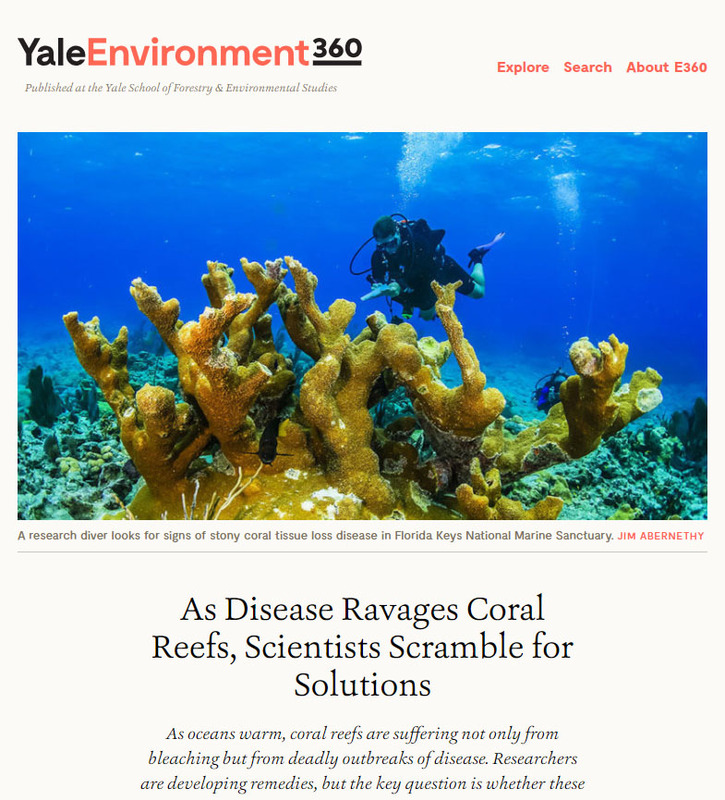 Be sure to get all the details by reading Talbot’s latest, As Disease Ravages Coral Reefs, Scientists Scramble for Solutions, at Yale E360.